With 0.8Amp Rectifier, F116 is usered to connect Flexilight to Power with Plug. 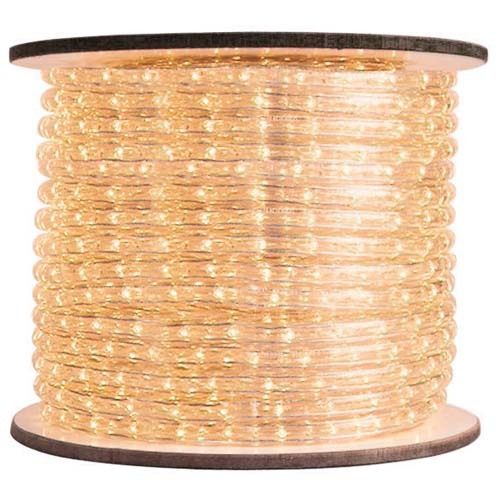 This T-connector is for use with 1/2-inch, 2-wire rope lights and gives you the ability to connect up to three strands of rope light, allowing you to customize your pool, patio, deck, or even your barn with any combination of rope lights. It can be used with 12, 24, or 120 volt rope lights and is perfect for lining walls and accenting corners or connecting different color rope light strands to create unique lighting and wall designs. Bottle contains 8 millileters of adhesive. Seals connections and protects rope or tape light from unwanted water damage. 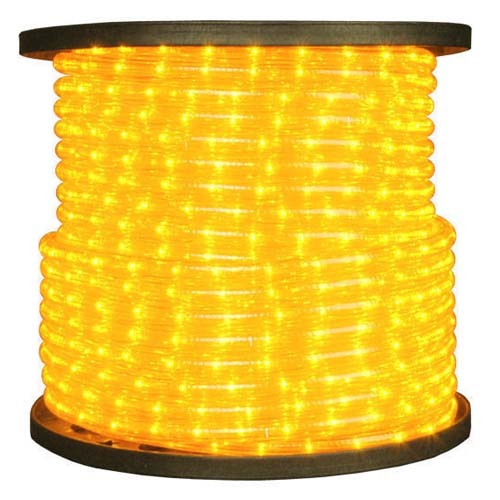 Easy Splice Connector is used when visible and invisible areas of rope light need splice repair or when a change to an alternate color is desired. List Price is for 10 Pieces. This raceway is perfect for under cabinet lighting, along deck or patio railings, or even inside cabinets. List Price is for 10 Pieces of 6-Foot U-Channels. This raceway is perfect for under cabinet lighting, along deck or patio railings, or even inside cabinets. List Price is for 10 Pieces of 3-Foot U-Channels. These rope light power and extension connectors give you creative control of your rope light layout. List Price for Whole Pack of 5 Pairs. The window suction cup allows rope light to be attached to glass or any smooth surface. Zip Tie / Tie Strip sold separtely. List Price for Whole Bag of 5 Pieces. These 3-inch clear shrink tubes are used to seal 1/2-inch invisible rope light splice connectors. We recommend using silicone to create a watertight seal. List Price is for Whole Bag of 100 Pieces. Nailed on wood/stone/concrete surface, or sticked on iron/glass surface, allowing Flexilight to be easily snapped in. List Price for Whole Bag of 100 Pieces. In a segment of Flexilight, one end is the power cord, the other end must be covered with an End Cap to prevent the user from touching the tin wires carrying electricity. 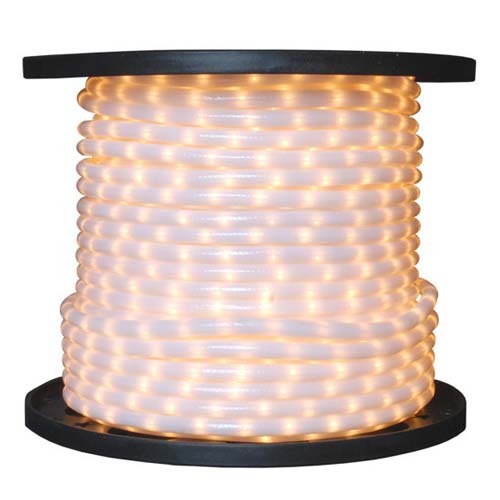 120V LED Instant Flexilight (Rope Light), Clear Tube with 3000K Warm White LED Bulbs, 150 ft. per Reel, Each Reel includes 1 molded Power Cord (Plug) and 1 End Cap. 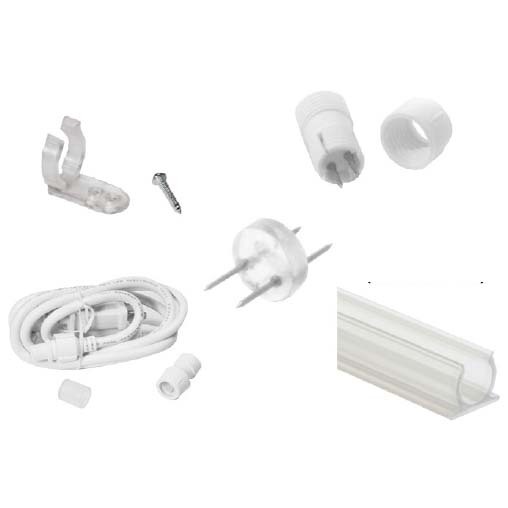 120V LED Instant Flexilight (Rope Light), White PVC Tube with White LED Bulbs, 150 ft. per Reel, Each Reel includes 1 molded Power Cord (Plug) and 1 End Cap. 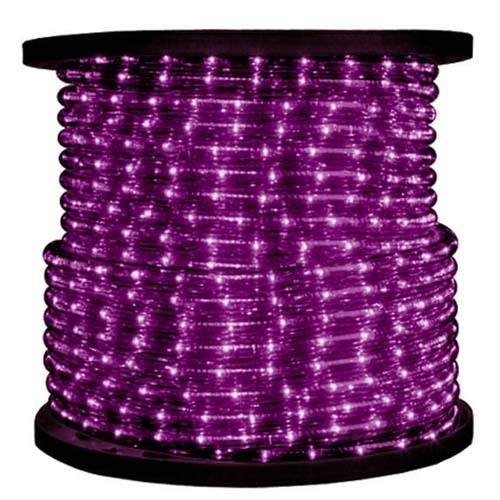 120V LED Instant Flexilight (Rope Light), Clear Tube with 4000K Snow White LED Bulbs, 150 ft. per Reel, Each Reel includes 1 molded Power Cord (Plug) and 1 End Cap. 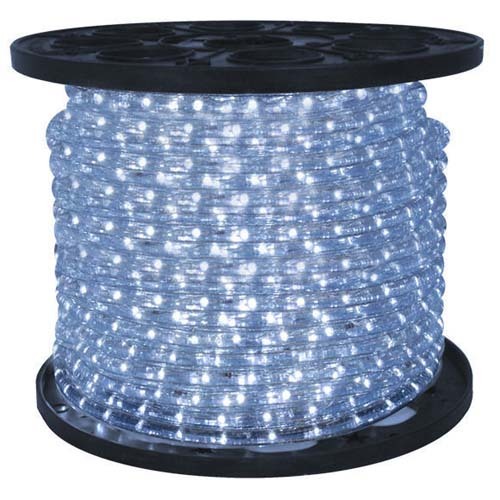 120V LED Instant Flexilight (Rope Light), Clear Tube with 6000K Cool White LED Bulbs, 150 ft. per Reel, Each Reel includes 1 molded Power Cord (Plug) and 1 End Cap. 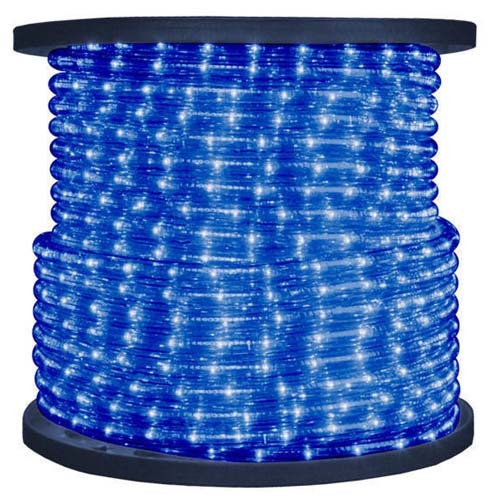 120V LED Instant Flexilight (Rope Light), Blue PVC Tube with Blue LED Bulbs, 150 ft. per Reel, Each Reel includes 1 molded Power Cord (Plug) and 1 End Cap. 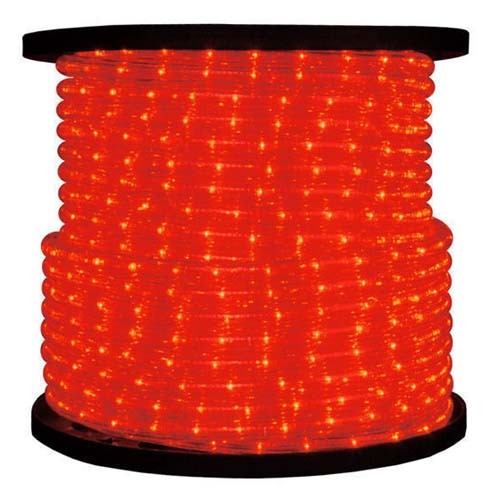 120V LED Instant Flexilight (Rope Light), Red PVC Tube with Red LED Bulbs, 150 ft. per Reel, Each Reel includes 1 molded Power Cord (Plug) and 1 End Cap. 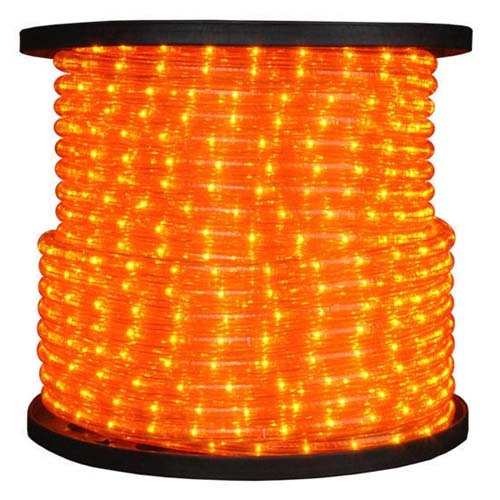 120V LED Instant Flexilight (Rope Light), Orange PVC Tube with Orange LED Bulbs, 150 ft. per Reel, Each Reel includes 1 molded Power Cord (Plug) and 1 End Cap. 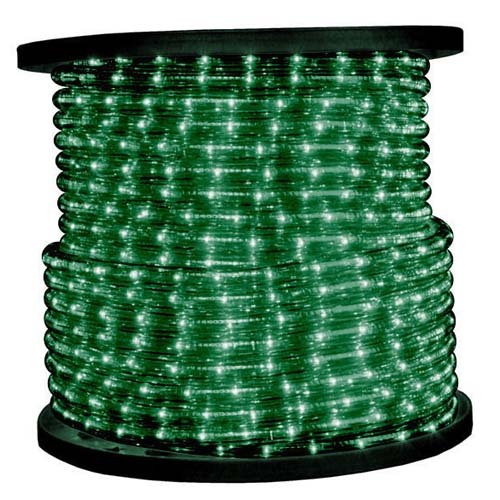 120V LED Instant Flexilight (Rope Light), Green PVC Tube with Green LED Bulbs, 150 ft. per Reel, Each Reel includes 1 molded Power Cord (Plug) and 1 End Cap.